Beethoven was deaf yet he composed masterpieces. Can you imagine his work if he had a cochlear implant. WAIT ! 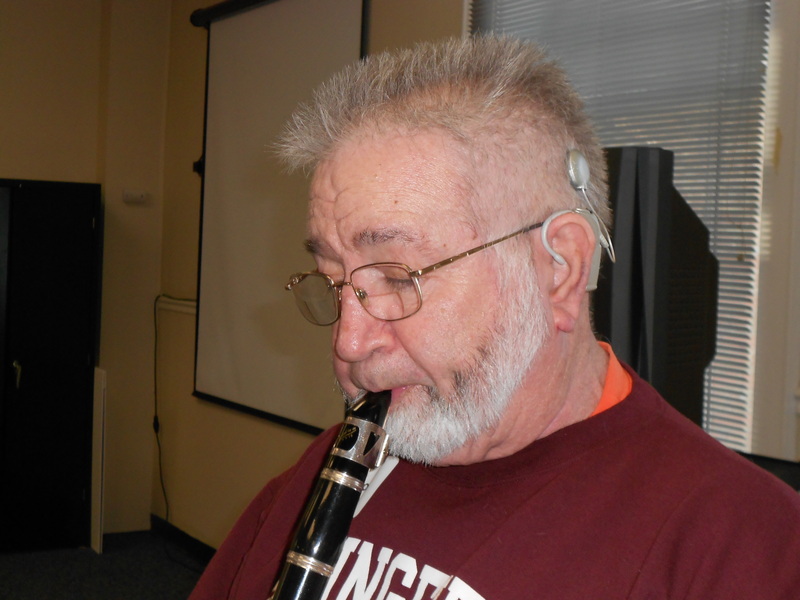 The question always arises, does wearing a cochlear implant affect your ability to appreciate music? For over 30 years I couldn’t really appreciate music because my hearing loss was so severe. I’d miss words. I wouldn’t hear the violins or the higher notes from almost any instrument. That’s no fun just hearing the booms and the bams from the drums, trombones, saxes, stand-up bass. I love the sweet sound of the clarinet. I have always loved that sweet sound. About a year before I had my implant, I started playing the clarinet again. My music teacher would drill me on the quality of the pitch and the volume. She would say, “Not so loud. There are other instruments besides you.” I needed to play loud so I could hear. I even spent $1,000 on a mixer, speaker, headphones so I could hear my own playing. That didn’t help. I still couldn’t hear the quality. Then I had my implant. Now two years after my implant, my music teacher says, “That’s a beautiful pitch you have.” That’s because I can hear the difference of when I play on pitch and not on pitch. I couldn’t tell the difference before. Now I can! The best exercise my music teacher Nancy gave me was to play “Twinkle twinkle” from memory and not read it from a music sheet. My job was to play a note on my clarinet and if it sounded right, write it down. Then the next note and the next. After a bit I had the whole song written down. Sometimes, Nancy and I would jam. She would play some notes on her clarinet and my job would be to play the same notes, like a dialogue. I can’t imagine trying to do that with my hearing loss before the implant. The answer is, music appreciation is improved with the cochlear implant.